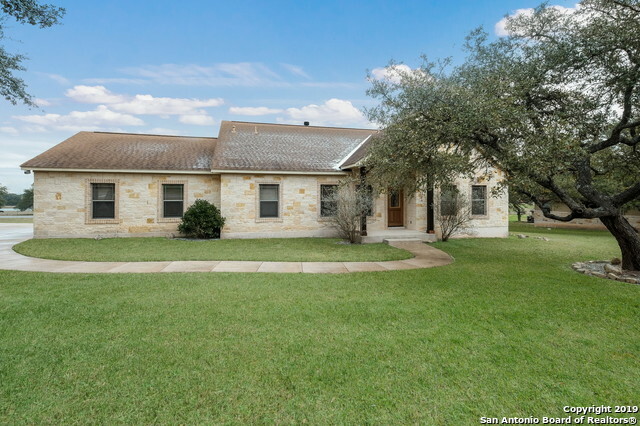 All kestrel Air Park homes currently listed for sale in Spring Branch as of 04/20/2019 are shown below. You can change the search criteria at any time by pressing the 'Change Search' button below. "Gorgeous 4 bedroom 3.5 bathroom estate on over 1 acre in Kestrel Air Park with access to private airstrip. This hill country retreat comes with RV parking garage, large pool, hot tub & beautiful outdoor fireplace. The master bedroom, which is located on the first floor, has a huge en-suite with walk-in shower! Enjoy your privacy while being just a short commute away from Boerne, Canyon Lake & San Antonio. This home is perfect to entertain family, friends & neighbors so make sure to set your priv"
"Move in Tomorrow! This 1 story 3 bedrooms 2 bath home is waiting for you. Spacious kitchen with breakfast area is a cooks delight. Open floor plan for entertaining. Split bedrooms. Enjoy the swimming pool on summer days. Very private. There is invisible fencing. This home sits on a corner, no neighbors behind you. The A/C is less than 2 years old Make this house your home. The flat screen TV and Brackets in master bedroom do not convey"